As border security build-up in Texas intensified, two brothers paid a smuggler to bring them to the United States. Only one lived to tell their story. Cristina and Raymundo Coj Cumar with a photo of their son Jose Leonardo. There were no drugs or guns in the truck, only nine migrants, two of whom were killed. DPS now has M-16s, M-14s, a Huey helicopter, mine-resistant vehicles, armored cars and gunboats, and a spy plane. From left: When local police arrived on the scene, 29-year-old Marcos Antonio Castro Estrada was already dead. 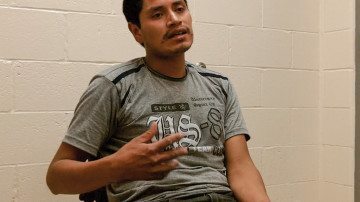 His parents say he came to the United States for better wages so he could buy a small plot of land to farm in Guatemala. State police officer Miguel “Mike” Avila used a LaRue OBR rifle to fire from a helicopter at the truck carrying the nine men. Jose Leonardo Coj Cumar is examined by Texas Rangers and a volunteer from the local fire department while his brother, Jose Isabel Coj Cumar, strokes his head. Click here to view the full video of the DPS shooting. Melissa del Bosque was interviewed about her investigation on the Texas Standard, Texas Public Radio and West Texas Talk. But the use of military tactics by a state law enforcement agency like DPS was new, the product of an aggressive stance by former Texas Gov. Rick Perry, who stepped down in January after serving 14 years in office. Perry first declared border security a priority in 2005, during his second term, in the lead-up to his 2006 reelection campaign. Perry wanted to remake the Texas Department of Public Safety — whose five law enforcement divisions include the Texas Highway Patrol, the Texas Rangers, and an aircraft unit — into his own Texas-style homeland security agency. DPS, especially its iconic rangers with their white cowboy hats, often played a starring role in bolstering Perry’s political ratings during his three successful gubernatorial races and his bid for the White House in 2012. With the rangers at his side, Perry often boasted of Texas’ border security know-how and criticized the Obama administration’s security strategies along the border. "We’re not going to give up one square inch of this territory." But even as DPS was encouraging Avila and others to promote the agency as an elite fighting force in television shows like Texas Drug Wars, the need for such a force was unfounded. Drug busts and migrant apprehensions along the border — with the exception of an influx of Central American asylum seekers — were not spiking. In fact drug busts were about to begin a steep decline, and FBI crime statistics showed that Texas’ border communities had some of the lowest murder and violent-crime rates in the state. After the 2012 shooting in La Joya, border residents already skeptical of the DPS hype became alarmed. National experts on policing were also troubled. “What if you hit the driver? Then you’ve got an unguided missile on your hands,” said University of South Carolina professor Geoffrey Alpert, a national expert in police pursuits. 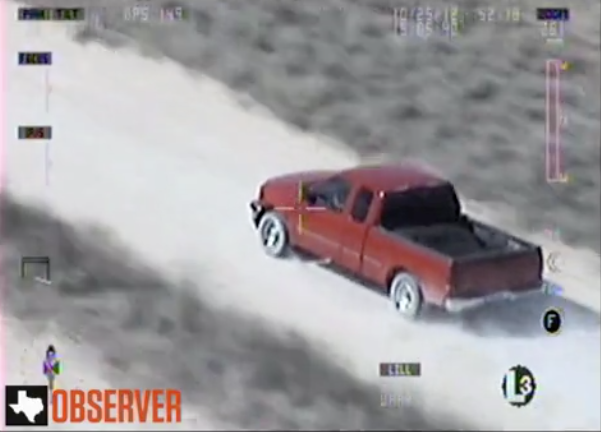 “What they were doing was totally crazy.” No other domestic law enforcement agency in the country allows its officers to shoot at moving vehicles from a helicopter. Not that it was cheap. Jose Isabel and his brother each paid $6,000 — a fortune in their village — for the trip to New Jersey. Their parents put up their land and home as collateral on a $12,000 loan to pay the smugglers. In the United States, they would pay off the debt in a year, maybe two at the most, they reasoned. "We’re using tactics and equipment that you will see in war zones." At first he hadn’t realized how badly his brother was hurt. After the truck stopped, Jose Leonardo sat up and spoke a few words. “He told me, ’I feel really hot. Could you please take off my boots?’ I used my baseball cap to fan him,” Jose Isabel says, “and I gave him water, but after that he didn’t say anything anymore. The men waited at least 30 minutes for an ambulance, according to DPS audio obtained by the Observer. Though the helicopter’s video shows that Avila eventually ran toward the truck to offer aid to the injured men, Jose Isabel says he never saw Avila nor heard anyone offer to transport them by DPS helicopter. A Medevac helicopter arrived 20 minutes after the DPS chopper landed. ”The police only checked us for weapons, but we didn’t have anything, only an empty jug. We had already finished the water,“ he says. Firefighters from the local volunteer fire department attempted to treat the men. There was nothing they could do for Marcos Antonio. An ambulance took Vitalino, who was the least seriously wounded of the gunshot victims. The Medevac helicopter from the trauma hospital, which was 17 miles away, airlifted Jose Leonardo, who was losing consciousness. ”You don’t know what happened to your brother?“ asks one of the rangers. There’s a long awkward silence. Jose Isabel can see the answer in their faces. ”We will let you know when we have verification,“ says the other ranger. 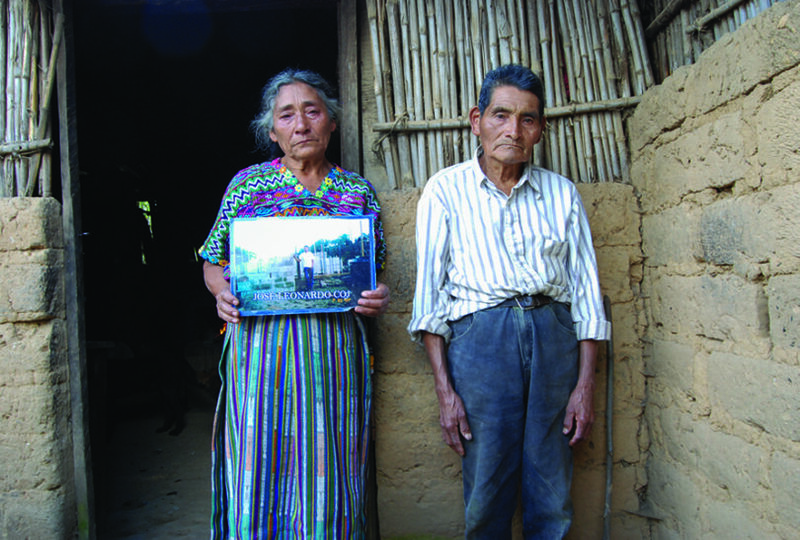 Maria Dorotea and Marcial Castro Estrada with a photo of their son Marcos Antonio. In Kaqchikel, the word ”Pachay“ means ”among stones of obsidian, and the next morning, as we drove up the narrow mountain road toward the village of Pachay las Lomas, pieces of black obsidian, some as large as a jaguar’s head, glistened in the parched white riverbed below. The small village of little more than 2,500 had once been a model of community organizing; the poor subsistence farmers who lived there had formed land cooperatives and organized to demand schools and health clinics from the government. 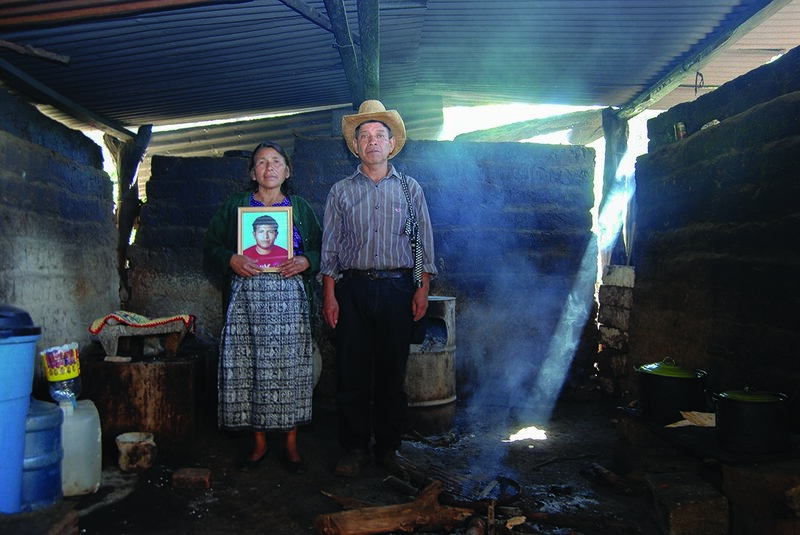 The disappearances and murders of the community’s leaders in the 1980s by the Guatemalan army had put an end to the experiment. Now the elderly try to scratch out a living on their small patches of land while their children search for work in Guatemala City and beyond. Jose Isabel Coj Cumar was brought to McAllen Border Patrol headquarters and interrogated by Texas Rangers after the shooting. If the border has become a war zone, then the men who died on Oct. 25, 2012, were the war’s first known casualties. 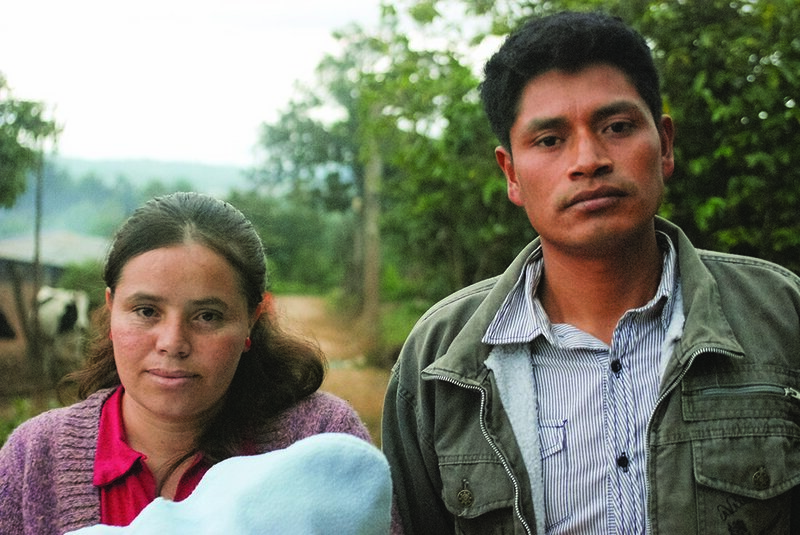 Jose Isabel with his wife, Sonia, and their 4-month-old son. When Jose Isabel and I talked in Varituc, I sensed there were things he didn’t want to say in front of his elderly parents. So I arranged to meet him again, this time in Guatemala City, about three hours from Varituc, where he and his siblings spend much of their time searching for work. One of the more striking things about gray and industrial Guatemala City is the number of U.S. fast-food chains that dot the landscape. We met in a gleaming white two-story McDonald’s beside a busy highway. Around 7 p.m., Jose Isabel arrived outside with his elder brother Efren. Both men, still in their work clothes, looked exhausted, their eyes bloodshot from painting the interiors of an apartment building since early morning. The brothers scrunched their baseball caps tightly in their hands and seemed uncomfortable with the notion of entering a McDonald’s. Inside, a middle-class family celebrated a birthday with pink balloons and a man in a business suit heartily dug into his Big Mac. I bought us coffees, which cost nearly half a day’s wage for the men, who typically make about $10 a day — when they can find work. Fleeing the rowdy birthday party, we found a table upstairs where we could talk. 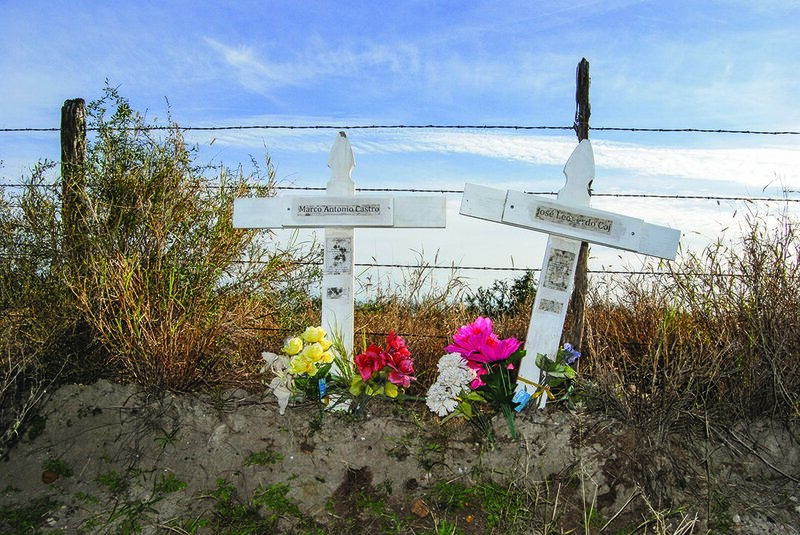 Local residents placed two crosses on Sevenmile Road in memory of the men who died. Melissa del Bosque is a reporting fellow with The Investigative Fund at The Nation Institute, now known as Type Investigations, now known as Type Investigations.